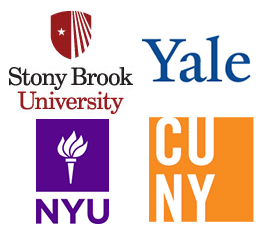 The SYNC conference is a one-day mini-conference by and for the graduate students of the CUNY Graduate Center, SUNY Stony Brook, NYU, and Yale. It provides a friendly venue for area graduate students and faculty to present research to their peers and faculty at partnered universities. The scope of the SYNC conference encompasses all areas of theoretical and applied linguistics, reflecting the local linguistics community's broad research interests. This year's conference will take place on December 6th at Stony Brook University. Invited speaker: Michael Becker (Stony Brook University).